Pine cones are a great decorating material because you can find them for free on the ground! The only problem is, they’re always brown. 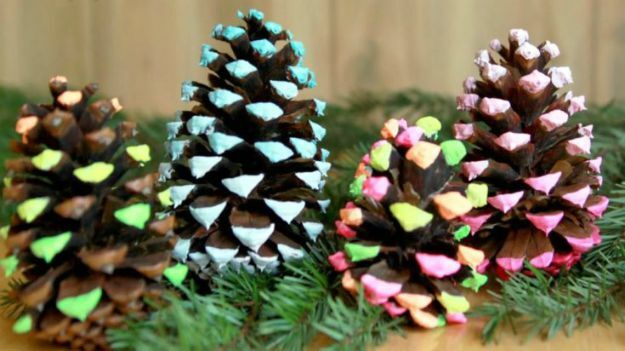 However, you can easily customize pine cones with the paint color of your choice and arrange them to your heart’s desire. Choose two or more from these pine cone DIY Christmas decorating ideas and achieve the rustic appeal pine cone has in spades. I fall in love with the rustic charm of these DIY stocking hangers! It’s not only an impressive home decor for the holidays but also an amazing gift idea to surprise a friend who loves anything rustic. All effort making these rustic DIY stocking hangers is absolutely worth it! These rustic candy cane ornaments will surely bring the holiday cheer to your Christmas tree. If you want to add a colorful, old-school element to your holiday decorating, these rustic candy cane ornaments fit the bill. If you want a fun craft to share with your kids, these reindeer footprint and handprint pillows will sure give you the joy of crafting with your kids. They are a great keepsake you and your young ones can treasure. Use brown, white, and black fabric paint to create the footprint and handprint. Make a pair with your kids to adorn your sofa. I’m sure your kids will be happy to be a part of your home decorating. I enjoy incorporating cute snowmen into my holiday decorating. I’m so happy I found this cute snowman blocks idea. I can use it to spruce up my living room for the upcoming holiday. They simply add a bundle of cool, icy charm, and cuteness everyone enjoys! Take a low-key approach to decorating your home for the holiday, this bright Christmas star idea will make sure your house shines the brightest. 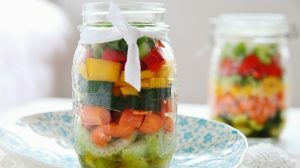 It’s simple and very easy to recreate! If you want to keep your decor child-friendly, then this rustic DIY advent wreath is perfect for you. It’s pretty easy; even an inexperienced crafter will be able to pull it off. The end of your toilet paper is a beautiful new beginning for your Christmas decorations. With your creativity, I’m sure you’ll have unlimited crafts to do with toilet paper rolls. 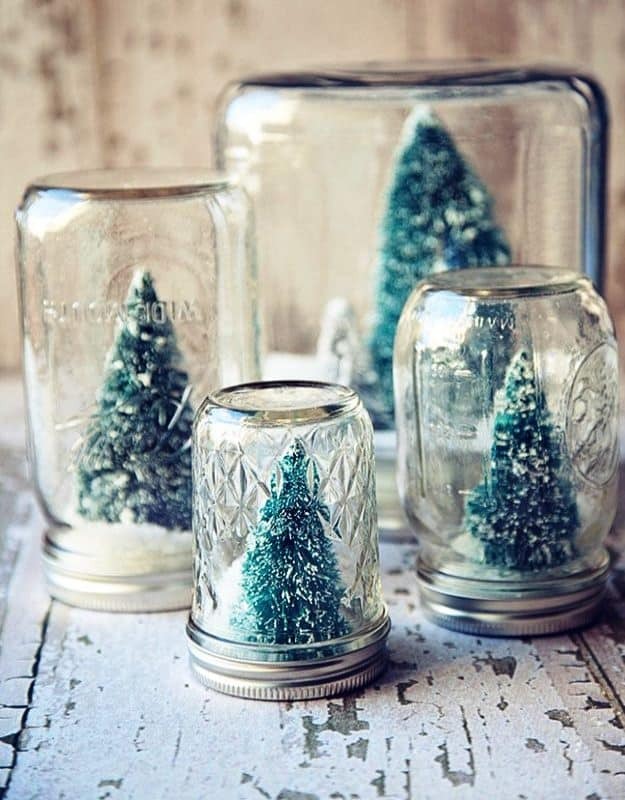 Repurpose your old tins to make these beautiful DIY joy holiday luminaries! I so love this idea, it’s clever and beautifully perfect to add some light to my homestead. It’s the perfect time of the year to spruce up your plain and boring window. Gather your supplies and let your creativity flow in creating this uniquely beautiful Christmas window decoration to bring a magical atmosphere into your home. This cute twig and cork reindeer will give your centerpiece a unique touch of festivity. Get some twigs, pop that cork, and let the cork art craze explode at your Christmas celebration. Give your holiday decorations a chic and vintage look with these homemade burlap Christmas stockings. Add some embellishment or different hues to match your home decor. I will have this adorable tin can snowman greet my holiday guests in my front yard. My grandkids and I will surely have a blast creating this. Can’t wait for the weekend to come; my crafting supplies are all set for this project. If you’re tired of traditional snow globes, this DIY underwater Christmas forest is the perfect twist to decorating your home this yuletide season. If you’re looking for something unique and adorable, then this is it! These cute DIY wine cork Christmas trees are easy to make, stunningly beautiful, and perfect as a handmade gift. They would also be a great place to hold cards. They’re cute and versatile as well! Go green this Christmas and make use of your recyclable milk jugs to create this lovable snowman Christmas decoration. These snowmen milk jugs will make Santa really proud of your creativity and your effort to reduce, reuse, and recycle. Fill small ceramic pots with herbs, berries, and a tapered candle. This just makes my decoration super easy because I’ve got lots of ceramic pots with herbs planted in it, so all I’ve got to do is put tea candles and berries to make it more festive for my center table. 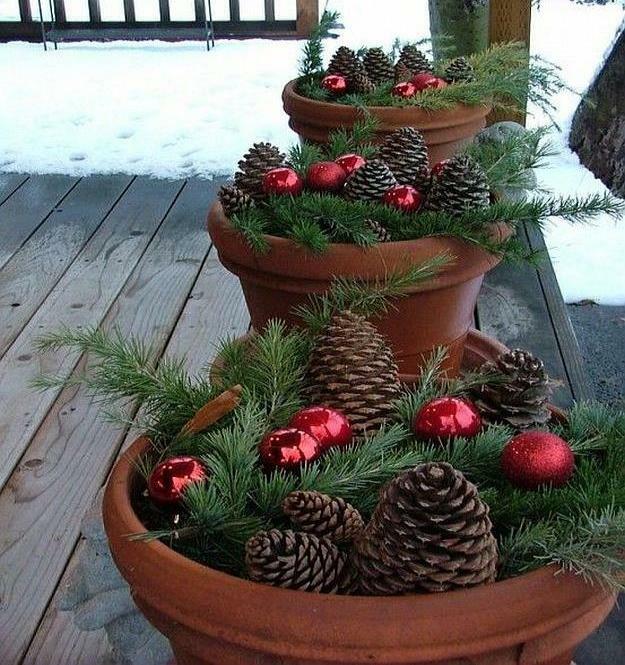 Your porch will truly turn merrier if you arrange a couple of big pots full of greens, reds, and pine cones. This potful of Christmas for your porch idea will bring the warmest welcome to your friends and special guests. 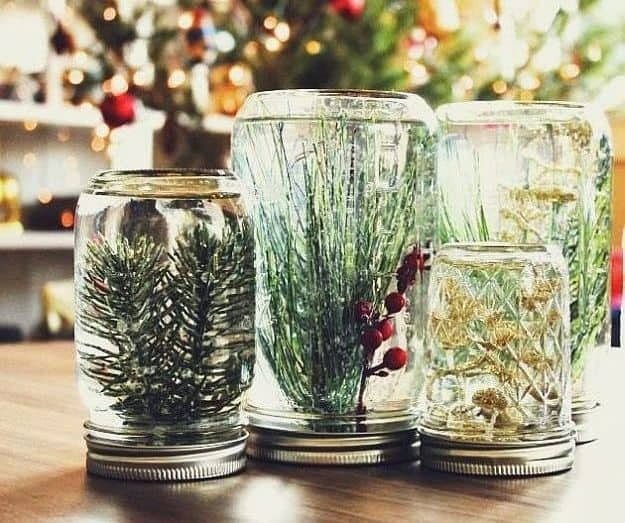 Fill your home with rustic homemade Christmas decorations and invite the natural beauty of the yuletide season in. I know I’ll be doing the snowman ideas, but who knows, I might mix and match a couple more from this list. I just can’t wait to get started! What are your favorite homemade Christmas decorations from this list? Let us know your thoughts in the comments section below! Editor’s Note – This post was originally published on December 5, 2015, and has been updated for quality and relevancy.